One of my favorite pastimes is reading magazine articles about (and watching interviews with) George Clooney. The man’s a charmer who just does everything right. He’s got the life, but he’s not rubbing it in. He’s enjoying where he is now, and he’s comfortable in his own skin. And why wouldn’t he be? For Clooney, life is just about perfect right now, as the great and highly amusing cover story of the latest issue of Rolling Stone discusses. 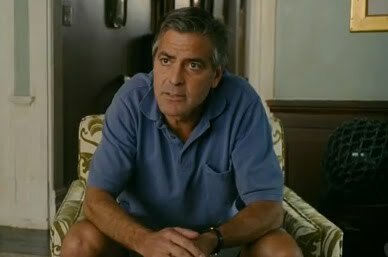 In a way, that’s what makes Clooney’s latest film, The Descendants, so nice. In it, Clooney plays Matt King, a man whose life is decidedly not perfect, despite the fact that he lives in the seemingly perfect state of Hawaii. For starters, he’s got a troubled relationship with his wife and a barely-there one with his two daughters (Matt even admits that he’s the “backup parent”). Then, when his wife is in an accident and rendered comatose, he learns (from his eldest daughter of all people) that she was cheating on him. Oh, and throw in a complicated real estate deal that involves his many cousins and relatives. No, things aren’t at all perfect for Matt. And yet, this is totally the wheelhouse for writer/director Alexander Payne, whose most recent films (Sideways, About Schmidt, and Election) have each featured a put-upon man at the center. 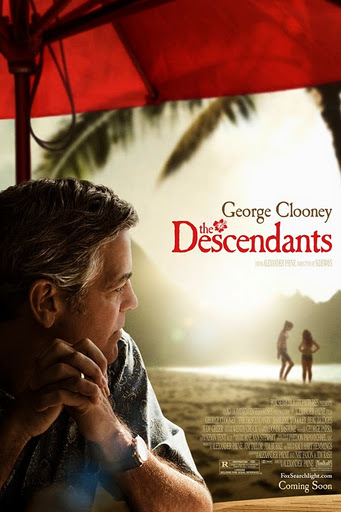 The Descendants is another gem — a dramedy about real people and real problems that’s keenly observed and delicately portrayed. Cinematographer Phedon Papamichael also deserves credit; he initially shows the less attractive side of Hawaii, busting the myth that all is a beachy paradise, and as Matt comes to terms with his situation and his relationships improve, so too does the image of Hawaii that Papamichael shows. Is The Descendants a perfect film? I’d say no. But it’s a damned good one that’s worth seeing. I’m giving it an A–.